This tea-leaf jar is known as the most famous of the many masterpieces by Nonomura Ninsei, the master of Kyoto ware decorated in colorful overglaze enamel designs. The jar is gorgeous, elegant and decorative, and is regarded as a symbol of the refined culture of Kyoto. 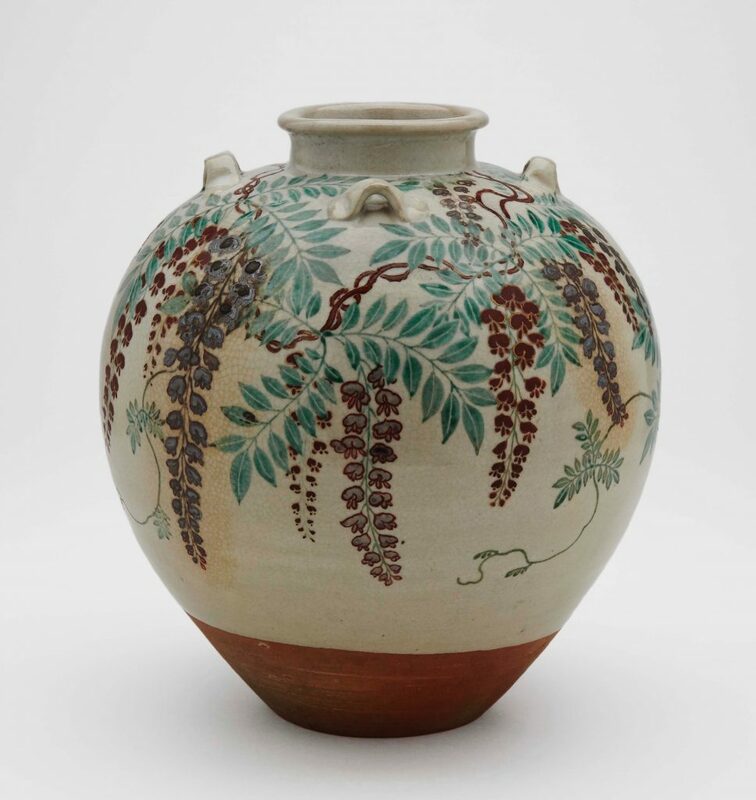 Blooming wisteria flowers are painted over a warm white glaze in enamels of red, purple, gold and silver in an ingenious composition that perfectly fits the elegant shape of the jar featuring thin walls of uniform thickness, characteristic of pieces by Ninsei, who is known for his exceptional skill at the potter's wheel. The jar, which bears a large stamp mark reading "Ninsei" on the base, was passed down in the Kyogoku family of the Marugame domain, present day Kagawa prefecture.